Everyone loves to travel, and if it's at a cheap price, even better. Nowadays, there are mobile applications capable of saving us plenty of money when it comes to traveling from one place to another or searching for affordable accommodation: Blablacar to organize car trips, Airbnb to search for accommodation at somebody's house, Booking to book a hotel room... and hundreds of more examples. 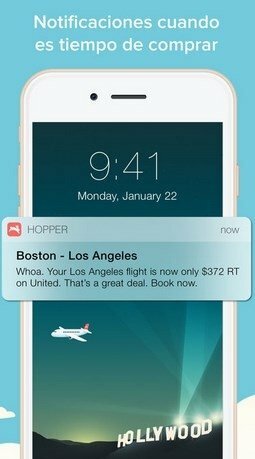 Today we're introducing you to Hopper - Watch & Book Flights. 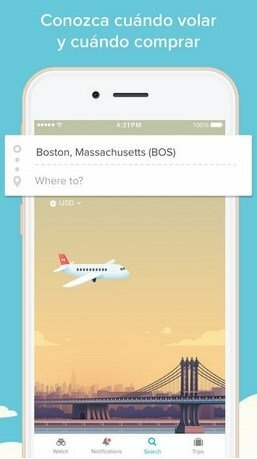 It's an application capable of helping us save up to 40% in the price of our plane tickets by means of predicting the value of the rates. 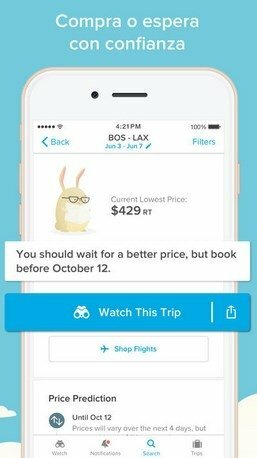 The service advises the user whether to book the flight right then or what for the price to drop and send notifications as soon as the price reaches its critical value to purchase the tickets as soon as possible. Discover the best moment to purchase your plane tickets at the cheapest rates. Color-coded calendar to find the cheapest dates to fly. Advice about airports to be able to save even more. 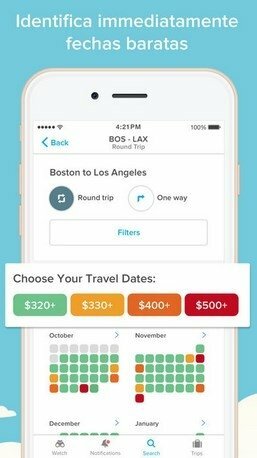 Customized filters to search for flights on more than 250 airlines. Compare prices for one-way tickets or return tickets. Customized recommendations according to your activity, previous vacations, and budget. 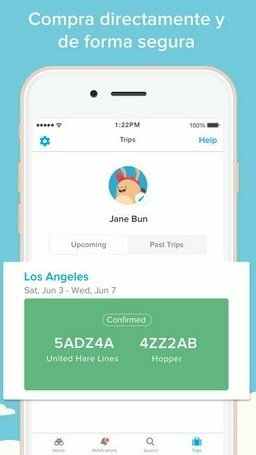 Possibility to save your user travel profile and payment to speed up the purchase. Download this application to your iPhone or iPad, search for your dream holiday, and compare the results with those of other services such as Skyscanner, Kayak or Expedia to find the best price. Who knows, you might just find a flight from London to New York for under $250 or any other unbeatable bargain.